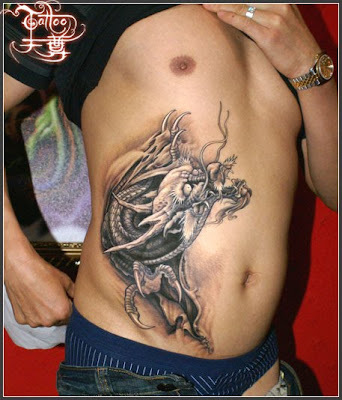 Another Chinese dragon tattoo design. 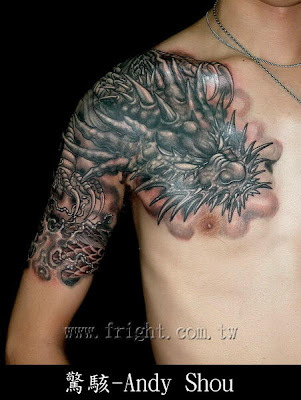 Chinese dragons are believed to be able to fly among the clouds. It can form clouds, can turn into water or fire. 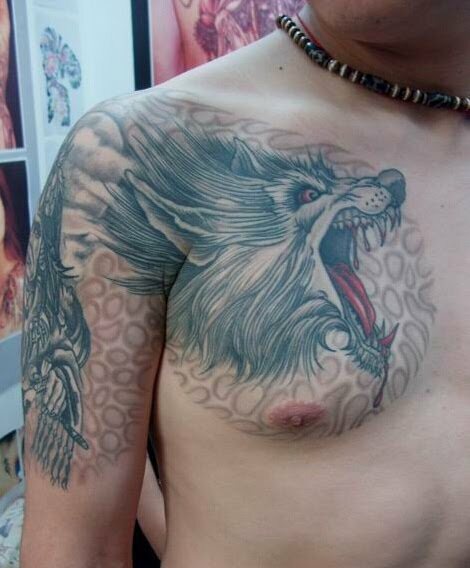 The cloud effect in this tattoo is especially good. 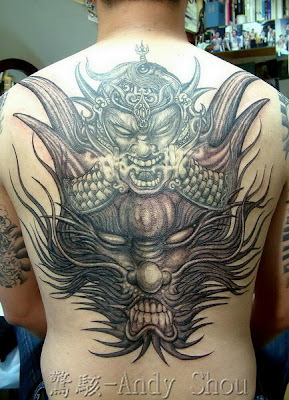 This tattoo design contains a character with two faces - very similar to traditional Chinese dragons. 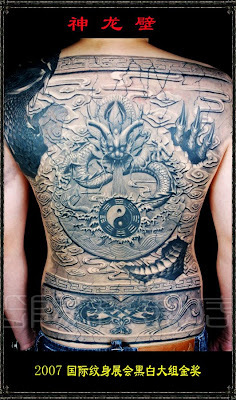 Another piece fantastic work from Andy Shou! The horn of demon and the body of the dragon connect seamlessly. 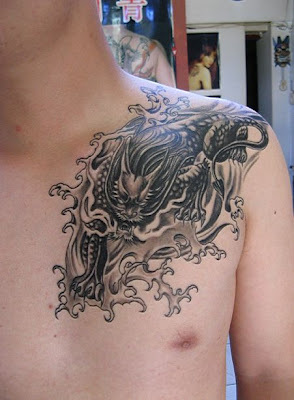 The visual balance and the overpowering feel are also impressive! A typical dragon tattoo design on the shoulder. The Chinese dragon usually go with the flood and cloud. 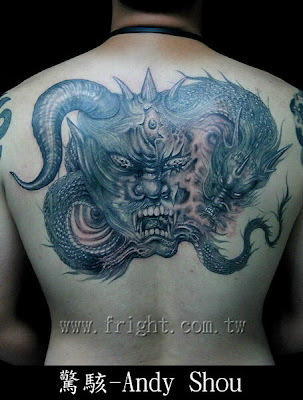 A hybrid free tattoo design of western and Chinese dragon. 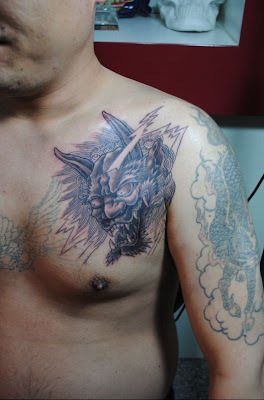 An angry dragon head tattoo, looking like a wolf's head too. 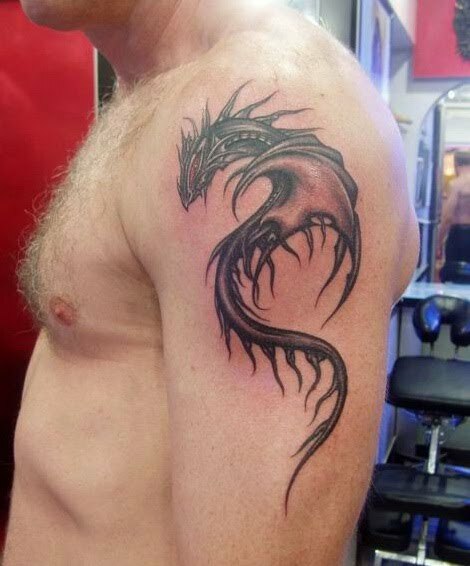 Another free dragon tattoo design, this time the featured parts are the head and the claws. 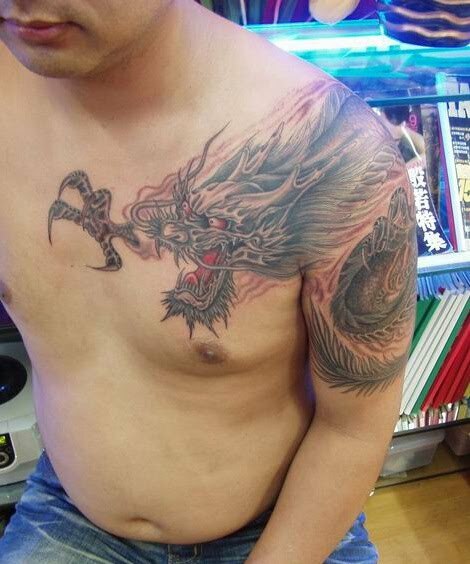 Seems to be a combination of dragon and demon head.